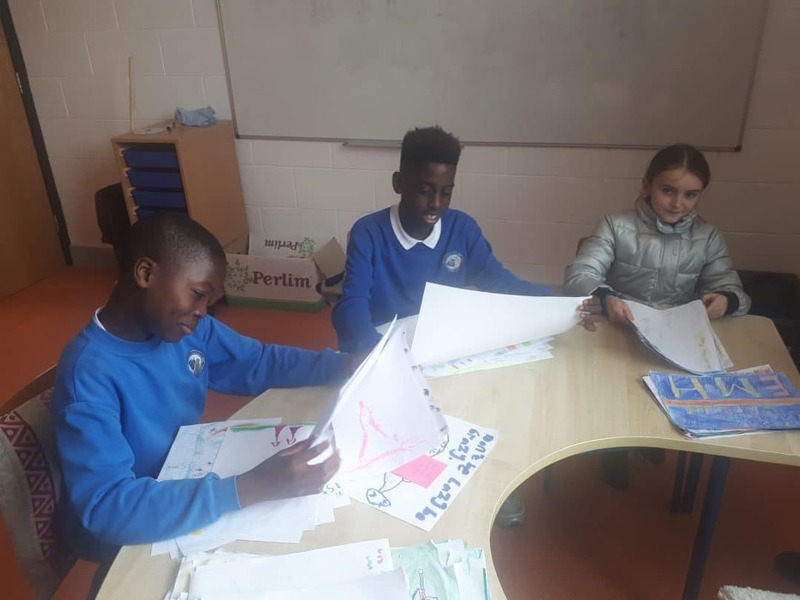 Scoil Chormaic CNS are currently working towards attaining our first Active School Flag! 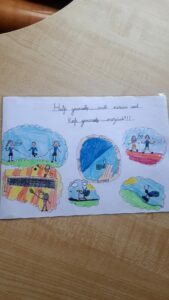 The Active School Flag is a Department of Education and Skills initiative supported by Healthy Ireland. The Active School Flag is awarded to schools that strive to achieve a physically educated and physically active school community. The process aims to get more schools, more active, more often. Our challenge will be to find interesting and exciting ways to energize the school day because active children are happy learners! 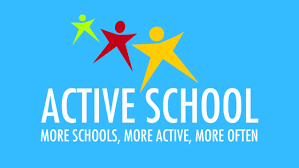 Please keep an eye on the website for updates on how we have been getting active in school! Also, we know that parents have some brilliant ideas on how we could increase physical activity levels of our children. There will be a suggestion box located at the main office in the school soon if you would like to share your ideas with us! Our overall winner receiving her prize of a Phlat Ball for winning the poster competition with her super slogan! The overall winning entry in the poster competition for our ASF slogan! How many children and teachers are part of a sports/physical activity club outside of school? What types of clubs the children are part of? How do the children normally travel to school? The results were very interesting and helped us to identify what activities we could try to implement more of during school time and also some ways that we can help and encourage our children to walk or cycle to school. 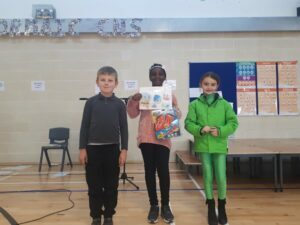 In fact the results led to us making a big effort in promoting and facilitating the Fresh Air Friday initiative in Balbriggan on February 15th! Take a look at the results of our survey below.